Cellular antenna. Researchers say they have found a novel and reliable way to help predict the intensity of the next big flood, using common cell phone towers across the United States. Their model, which analyzes cell phone signals, adds a critical component to weather forecasting never before available. Though New Orleans residents were told to evacuate days before the arrival of Hurricane Katrina, no one could have predicted the real extent of the devastation. Now researchers from Tel Aviv University say they have found a novel and reliable way to help predict the intensity of the next big flood, using common cell phone towers across the United States. Their model, which analyzes cell phone signals, adds a critical component to weather forecasting never before available. “By monitoring the specific and fluctuating atmospheric moisture around cell phone towers throughout America, we can cheaply, effectively and reliably provide a more accurate ‘critical moisture distribution’ level for fine-tuning model predictions of big floods,” says Prof. Pinhas Alpert, a geophysicist and head of Tel Aviv University’s Porter School for Environmental Education. Prof. Alpert and his co-researchers Prof. Hagit Messer Yaron and doctoral fellow Noam David reported on their research in the April 2009 Atmospheric Chemistry and Physics. 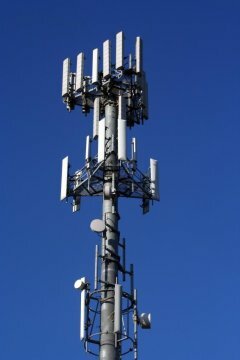 Cell phone towers emit radio waves that are diminished by moisture in the air, a factor that can be used to improve model warnings on flood levels. In addition, the researchers measured the rainfall distributions and were able to accurately estimate the size of impending floods before they struck. This was demonstrated in post-analysis of two case-studies of floods in the Judean Desert in Israel, where cell phone towers — and flash floods — are abundant. “Our method provides reliable measurement of moisture fields near the flood zone for the first time,” notes Prof. Alpert, who also works with NASA on developing models to study global warming weather patterns. This new tool, he says, can add to the bigger picture of understanding climate change patterns in general. “Accurate predictions of flooding were difficult before because there haven’t been enough reliable measurements of moisture fields in remote locations,” Prof. Alpert adds. Using the signals collected from cell phone towers as they communicate with base stations and our handsets, weather forecasters will now have a crucial missing piece of information for flood prediction that they never had before. It will permit forecasters and residents alike to more accurately gauge the danger they face from an impending flood.